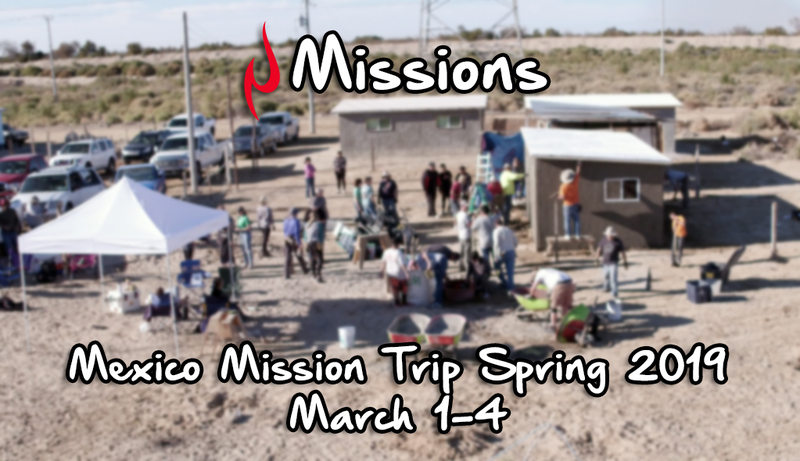 Be a part of changing a family’s life this year as we send a team to Puerto Penasco, Mexico to work alongside our missions partner, 1Mission, to help build a home for them to keep them warm, safe, and dry. The trip starts as we drive over on Friday, March 1st, and we travel back home on Monday, March 4th. The cost is $315 for adults, $135 for students ages 12-17, and kids under 12 are free. This includes all your food while you’re there. You can bring a tent, camper, or RV to stay in and you’re welcome to bring your whole family. You’ll need your passport, your camping gear, and a big heart to serve an amazing family that will become part of your family!